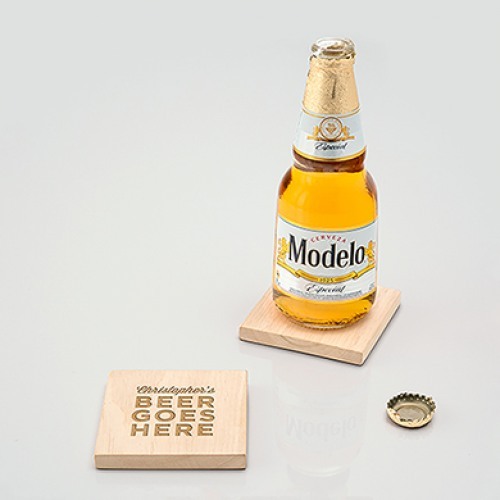 These personalized wood coasters with built in bottle openers are make the perfect wedding gift for any beer lover. 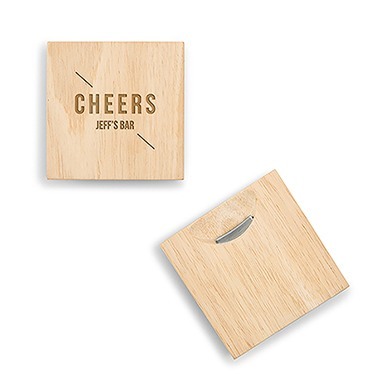 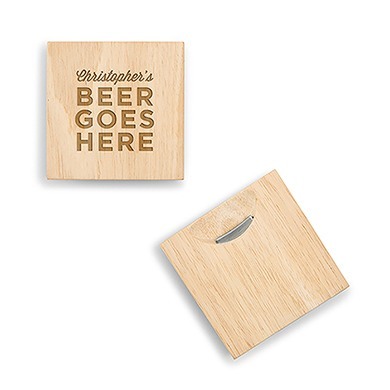 Each set comes with two wood coasters that are laser etched with your choice of design and include a stainless steel bottle opener on the reverse side. They're not only handsome by design but practical too, and are sure to be loved by grooms, groomsmen, or any other special man in your life.